Homestead Tax Exemption – The Clock is Ticking! We’ve counted down the seconds to this brand, spanking New Year of 2016. Here’s hoping all of our resolutions make it through! Now there are some new milestones looming. Although it’s not tax time yet, if you bought a new home in 2015 or have transitioned here to bask in the Florida sun full-time, your due date to file for your homestead tax exemption is Tuesday, March 1st. If you own property and it is your permanent residence (for either yourself or your dependent), that may provide for eligibility for an exemption of up to $50,000. The first $25,000 applies to all property taxes, including school district taxes. The additional exemption up to $25,000 applies to the assessed value between $50,000 and $75,000 and only to non-school taxes [Section 196.031, Florida Statutes]. This is a wonderful benefit of Florida residency. Just a simple application providing pertinent detail needs to be submitted for approval. Here’s a great Property Tax Exemption for Homestead Property information sheet that also includes detail on additional benefits to which you may be entitled. If I may assist in any way, never hesitate to contact me, or visit my website for information on current market statistics and to search for properties. Look forward to speaking with you soon! https://trinityeastlakerealestate.com/wp-content/uploads/2018/03/LC-WebLogo-340x156-300x138.png 0 0 loricrawford https://trinityeastlakerealestate.com/wp-content/uploads/2018/03/LC-WebLogo-340x156-300x138.png loricrawford2016-01-15 08:15:042016-01-15 08:15:04Homestead Tax Exemption - The Clock is Ticking! It always seems that the washing machine breaks down the week after the sprinkler system needed repairs; or right after you receive your tax refund. Money goes in and just goes back out again. The only things we can control of course are the things we can. Staying ahead of the maintenance cycle (and budgeting appropriately!) is our best defense as homeowners so minor repairs don’t become major ones. 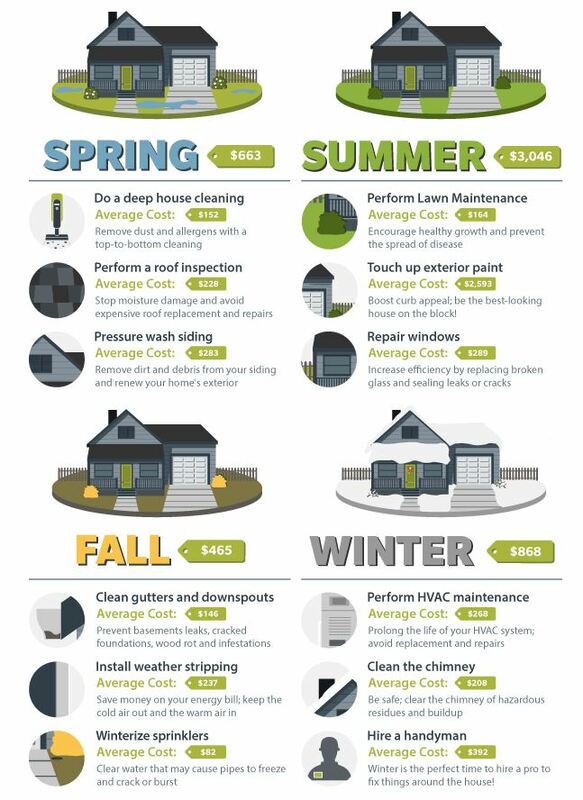 I liked this Smart Budgeting Checklist infographic posted by Home Advisor. It’s not only a reminder of what to do when, but helps you to anticipate and plan for the costs. Handy for those first time home buyers and for those of us who think if we ignore that dripping sound, it will just go away! Happy HVAC Maintenance!